I already wrote about other material options that you can choose from if you want to build a fire pit in your home. 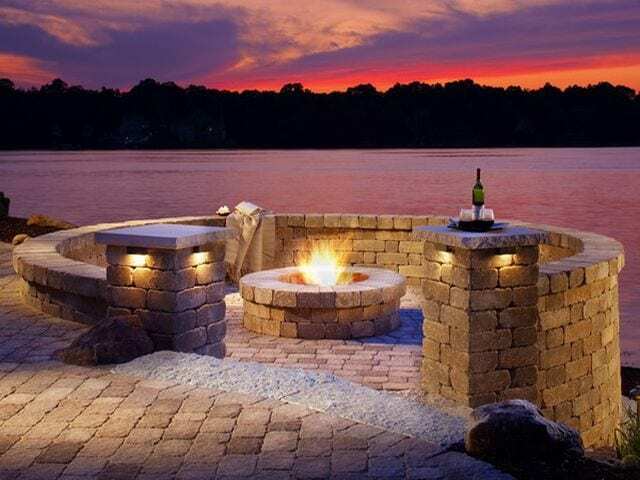 If you missed those articles, I’ll remind you of them and link to them directly right now: Inground Fire Pit, Cinder Block Fire Pit, Brick Fire Pit, Natural Stone Fire Pit, and Pavers Fire Pit. Flagstone is the last material I’m going to talk about in this fire pit series. I’m planning on finishing this series with some accessories for fire pits and a couple of things more that I want to talk about. From all the materials I talked about, flagstone is possibly the more expensive on average, but it’s also one of my favorites because it’s easy to work with, very durable, it provides a fantastic look and gives your home a big boost in value. 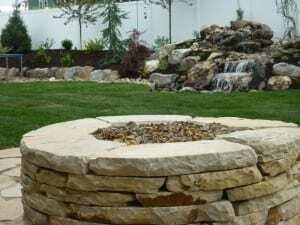 A flagstone fire pit is one of my best recommendations if you’re not worried about money, why? 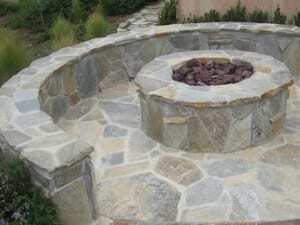 because you can build your patio with flagstone and end up with a flagstone fire pit to make your patio look fantastic! 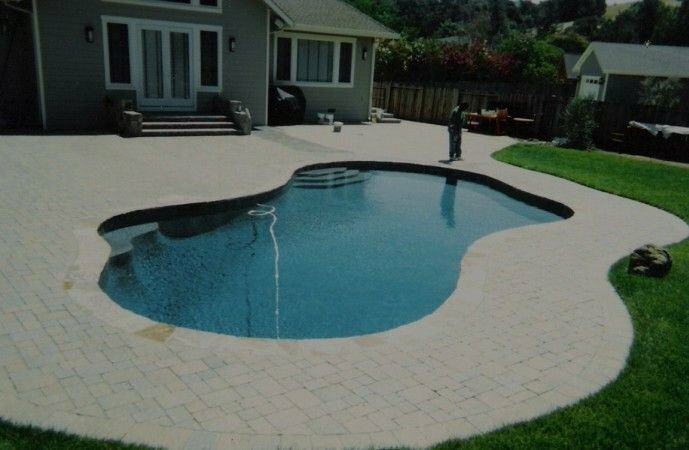 We can give any shape to flagstone so, you can ask us to cut it curved, cut it straight, or just install it natural (like the way it comes in the pallet, and also a cheaper option). I’ll elaborate more on flagstone when I start talking about it in this blog in the near future. Like I said before, we can give flagstone any shape you want, that’s one of the great features of this natural stone, and that makes it perfect for a firepit. You can also choose from different concrete joint finishes, like “flat” (same level as flagstone), below flagstone level, or even dry stack (you don’t see the concrete at all, this finish is more expensive). Because of its elegance, durability, natural looks and adding big value to your properties, I highly recommend you to use flagstone for your projects if money is not an issue for you. Remember to make sure that you can build a firepit in your backyard. Read my article “Is a Fire Pit Good for Your Backyard? 6 Reasons to Help You Find Out!” to come up with the answers. 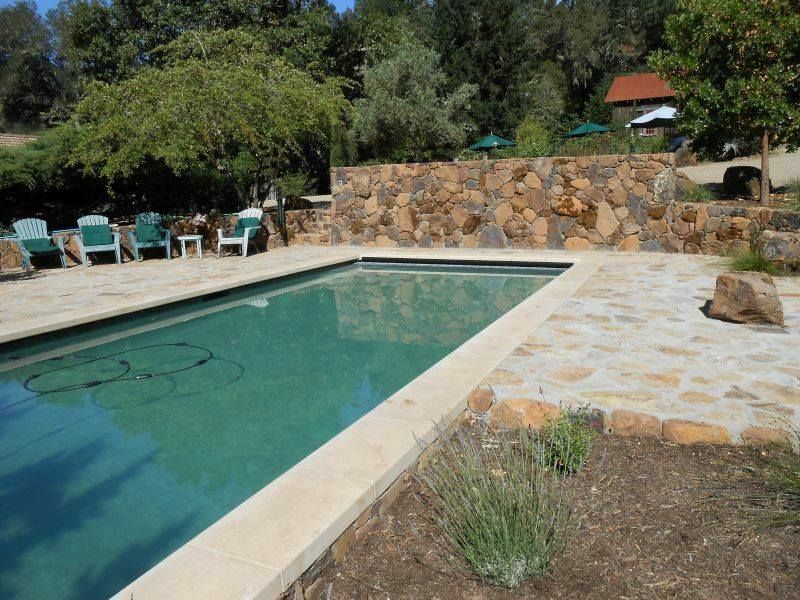 If you’re looking forward to have a flagstone fire pit in your home, you can always give us a call if you’re in Napa Valley, or Northern California. Remember to check out our areas of service.